Today we talk about how good books will improve your writing. Today we talk about great reading and how to find inspiration for your writing. 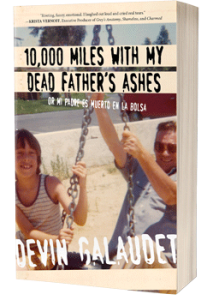 For more about me visit http://devingalaudet.com or check out my forthcoming book, 10,000 Miles with my Dead Father’s Ashes.